in the beautiful Elgin region. The stars are shining brightly above you. The smell of evergreens is all around you. And there’s nothing but the sound of rustling leaves drifting on a gentle breeze. All is calm, all is well. 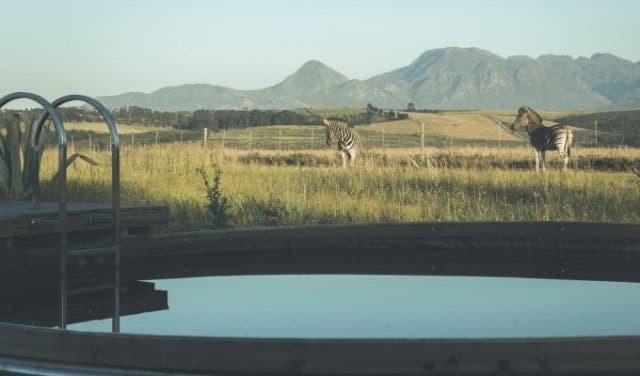 Welcome to Cherry Glamping’s luxury bell-tented camps in Elgin. Just one hour outside of Cape Town, Cherry Glamping has taken “glamorous camping” to a whole new level. 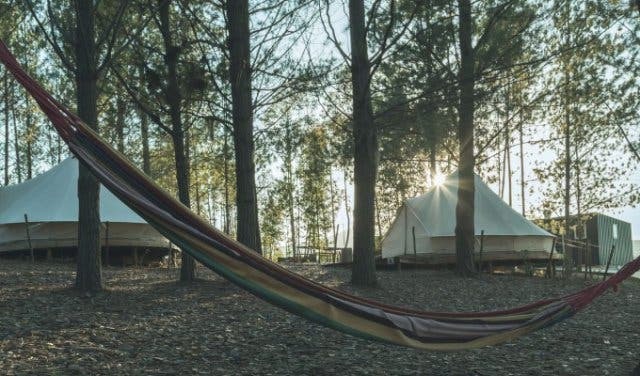 It features real beds, gorgeous bathrooms and versatile camps catering for any sized group or function – ask about Cherry Glamping weddings, functions and team building. 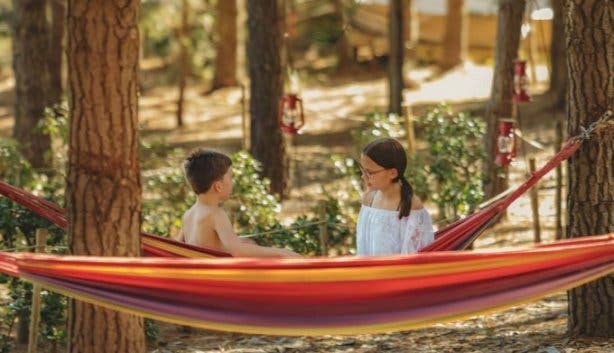 Owner and manager Richard Cherry says Cherry Glamping can offer a very special brand of custom luxury camping because of their unique origins. “We started out as a mobile glamping campsite operator,” Richard says. 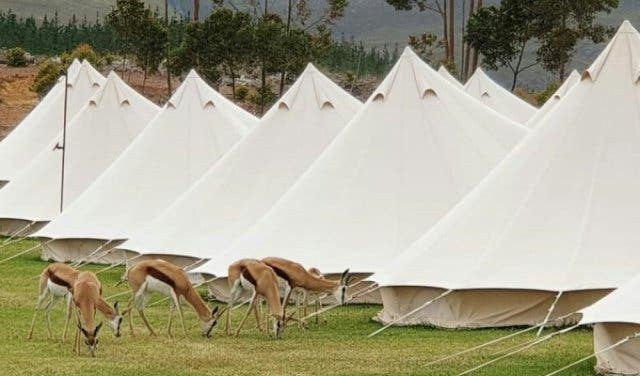 “So, you would book a function with us and tell us where you wanted to have it, and we would come and pitch a luxurious campsite, fully serviced, for you and your guests. And what a site it is. There are a huge wooden lounge and food prep area, a large covered deck and loads of outside tables for big functions and events. But there are also hotel-standard bathrooms and a massive rustic-chic “rain queen” reservoir for cooling off on a hot day. Not to mention wildlife right on your doorstep. 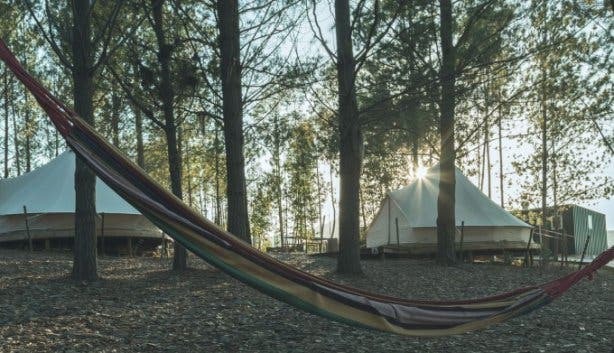 Set on a 35-hectare farm in Elgin, the beautifully Cherry Glamping site offers loads of braai spaces, hammocks for relaxing in and loads of open space. But there’s also a lot to do. From gorgeous hikes along the Green Mountain Trail to cycling at Oak Valley and Paul Cluver to Wildekrans. There are canopy tours and Segway tours, biking, and the farm is very close to the Overberg birding route. 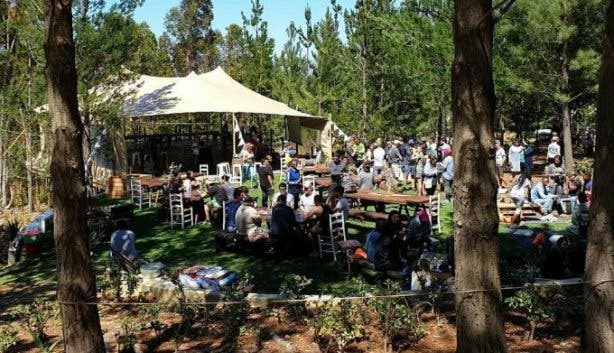 There are naturally loads of interesting farm stalls and restaurants to visit nearby – including an exciting outdoor-concept rib shack within walking distance from your luxury tent – and, of course, everything from Betty’s Bay to Hermanus, Caledon to Cape Town is within 85km from the Cherry Glamping site. 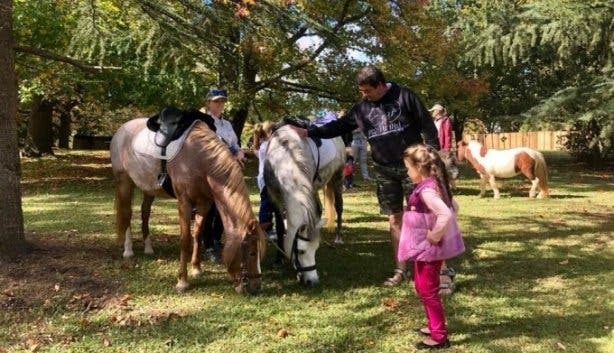 Remember how Richard said they started out doing special custom events in the great outdoors? Well, despite being now firmly rooted in the Elgin Valley, Cherry Glamping has kept up the tradition of offering guests whatever their hearts desire. They’ve done several incredible outdoor weddings and receptions, as well as corporate functions and events, including team building and they can even cater for mini-festivals. The secret lies in how flexible Richard and the Cherry Glamping team are. 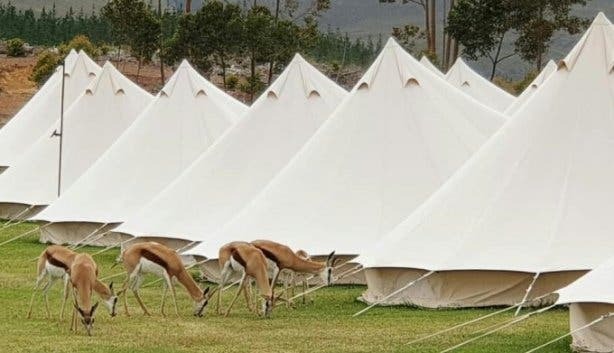 They have several permanent platformed tents on site, but if you need more, just let them know and they’ll add them. Cherry Glamping can cater for anything from small, intimate family or romantic getaways, to large functions requiring luxury accommodation for hundreds of people. All tents sleep two people and come standard with a range of luxury choice – including what kind of view you want: moon or sunrise start. And the first night starts at R1 950. Plus: Your booking can either include or exclude catering – your choice. 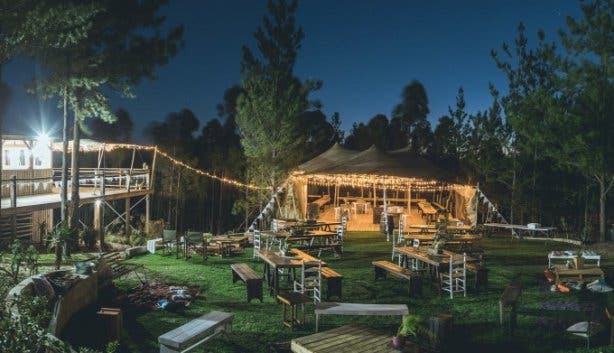 Cherry Glamping is completely off the grid, so the gorgeous fairy lighting around the lounge, deck space and large wooden family tables will stay and keep the luxury camping atmosphere alive even during loadshedding. 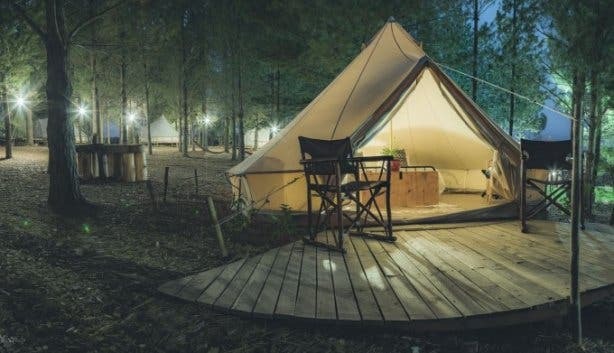 Discover Cherry Glamping in Elgin. 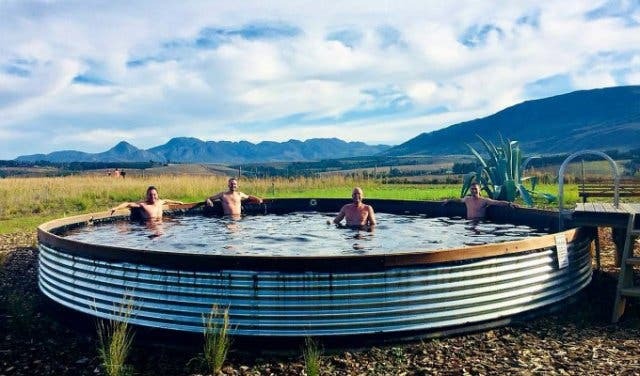 Discover awesome camping spots near Cape Town, idyllic places for a romantic getaway and unusual accommodation in the Western Cape. Alternatively, find loads of adventure tours and things to do with kids, as well as free and cheap things for families.